Kramer’s School of Music will host its annual, open Halloween Recital on November 1st 2015 (times and groups to be determined). This one is a lot of fun. 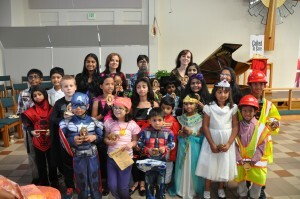 Students will be performing pieces fun pieces relatable to Fall fall and Halloween (spooky music). We encourage students to dress up in costumes to perform, so this makes for a great photo opportunity, and it is always a lot of fun for the kids. We welcome all to attend the recital. Location is TBA. ← Kramer’s School of Music Closed 4th of July!